Fergus O'Dowd is one of two Fine Gael candidates in the Louth constituency. 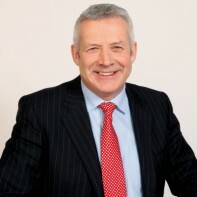 He was first elected to the Dail in 2002, and re-elected in 2007. He was appointed Fine Gael Front Bench Spokesperson on Education & Skills in July 2010. O'Dowd was named Magill Magazine TD of the Year in 2006. Course it was, the Tans are always against us.